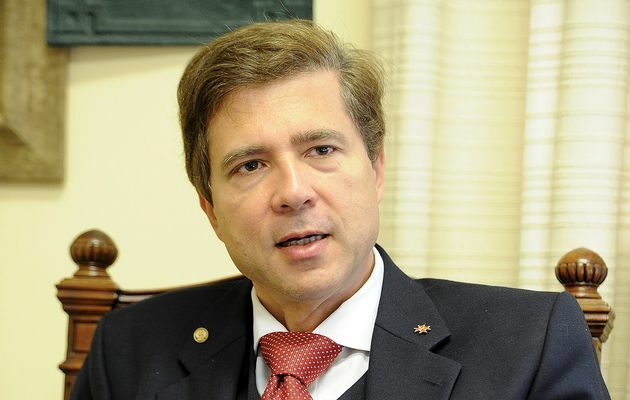 Mr Mario Oriani-Ambrosini, an Italian constitutional lawyer and South African Member of Parliament. (TibetanReview.net, Aug22, 2014) –Mr Mario Oriani-Ambrosini, an Italian constitutional lawyer and South African Member of Parliament, who in 2012 successfully sued his government for denying visa to the Dalai Lama due to pressure from China has died on Aug 16, aged 53. He died after a protracted and courageous struggle against cancer. 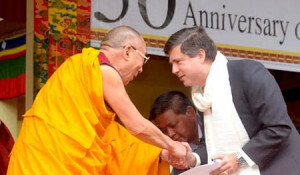 Mario Oriani-Ambrosini being greeted by the Dalai Lama during a ceremony in the Bylakuppe Tibetan settlement in South India in September 2010. Campaign for Tibet, Washington, DC. Mr Mario Oriani-Ambrosini was an outspoken defender of human rights and democracy. He studied law in Rome and later at Harvard University and Georgetown University Law Center. He Became Inkatha Freedom Party (IFP) leader Mangosuthu Buthelezi’s constitutional expert during pre-democracy negotiations and in 2009 became an IFP MP. IFP chief Buthelezi paid a moving tribute to the late MP, saying: “We have been flooded with tributes to a man who clearly made a deep impression on many lives. From citizens who appreciated his fight on their behalf against the Secrecy Bill, to His Holiness the Dalai Lama on behalf of the Tibetan people; from service officers in Parliament, to Ambassadors, journalists, students and lovers of freedom everywhere; tributes and words of thanks have abounded for the good Doctor. Chief Buthelezi also remembered him as a founding member of the Parliamentary Institute of South Africa.